Currently there is an extreme drought affecting the Caribbean islands, including the Dominican Republic. Since mid-2018, there has been unusually little rain in the country, BioTropic reports. Volker Schmidt, BioTropics local agricultural engineer, says that this dry spell is considered one of the worst in 50 years. 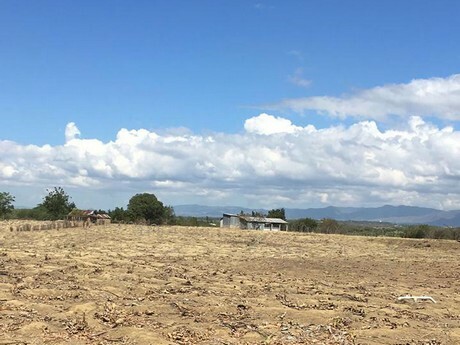 Soil degradation, rapid and unplanned urbanization since the 1960s and deforestation of tree population in neighboring Haiti, have led to a total decline in water resources on the island. The water levels of the reservoirs and rivers have already dropped so low that the producers have to ration water for irrigation. One positive is that the lack of rain has decreased the occurrence of the moisture-loving fungal disease Sigatoka. 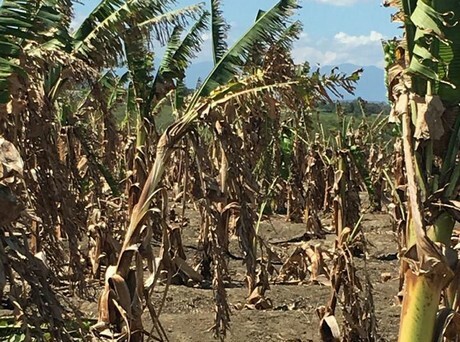 However, the drought leads to significant losses in the banana harvest. Many banana producers have to shut down certain areas in order to be able to use the existing water to manage a remaining area, Schmidt notes. The National Meteorological Service predicts another two months of drought. The Dominican Republic is a hotspot for extreme natural events. Droughts, floods, earthquakes, hurricanes and other disasters are likely to increase due to climate change, scientists say. People will just have to deal with these challenging conditions.